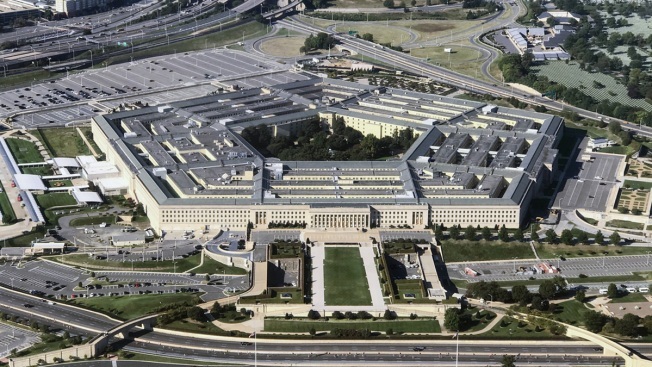 This Sept. 24, 2017, file photo, shows an aerial view of the Pentagon building in Washington. In a court document unsealed Thursday, the Defense Department said it will give the unidentified man $4,210 in cash, the same amount he was carrying when he was captured, along with an unactivated cellphone and food and water "to last several days." The clothing he had on him when he was picked up by the Syrian Democratic Forces, an alliance of Kurdish and Arab militias fighting ISIS, will also be returned to him, and the alliance will be notified of his release, NBC News reported. The man, whose identity has not been revealed, was picked up on a Syrian battlefield in September and accused of fighting for the Islamic State. He says he entered Syria as a freelance journalist and was kidnapped and forced to work for ISIS until he fled on a water truck and turned himself in to the Kurds, who handed him over to the U.S. military, according to court documents.